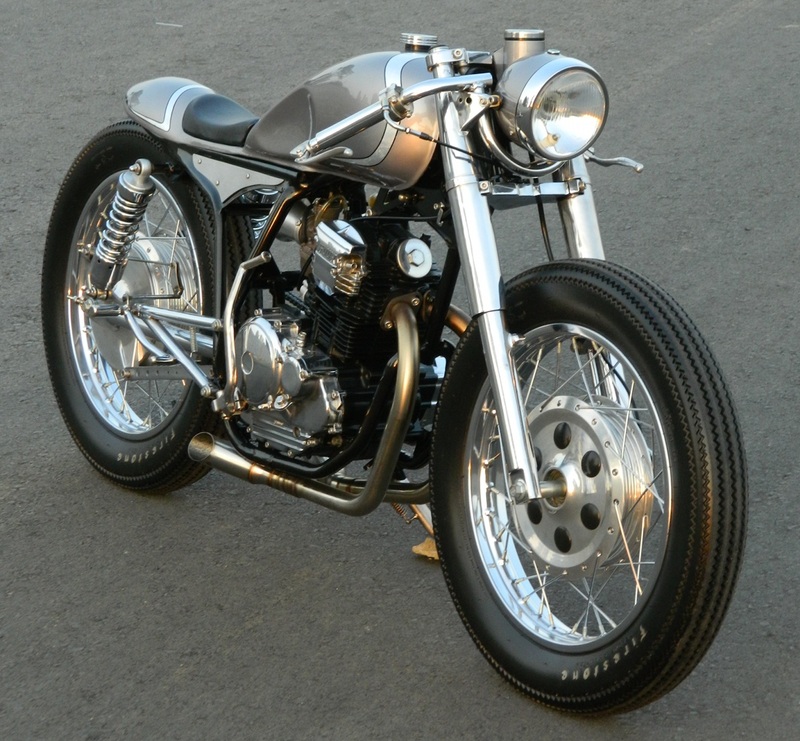 The Yamaha SX225 — aka the Scorpio Z — is a 223cc thumper popular in Indonesia, the Philippines, and Australia, where it’s often used as one of the country’s Learner Approved Motorcycles (LAMS). 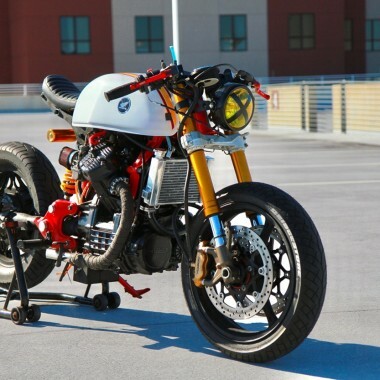 The air-cooled, SOHC engine makes around 18 horsepower, and reviewers have praised the bike as a reliable commuter — especially for the price point. However, the bike has taken criticism as a decidedly un-handsome machine in stock trim. 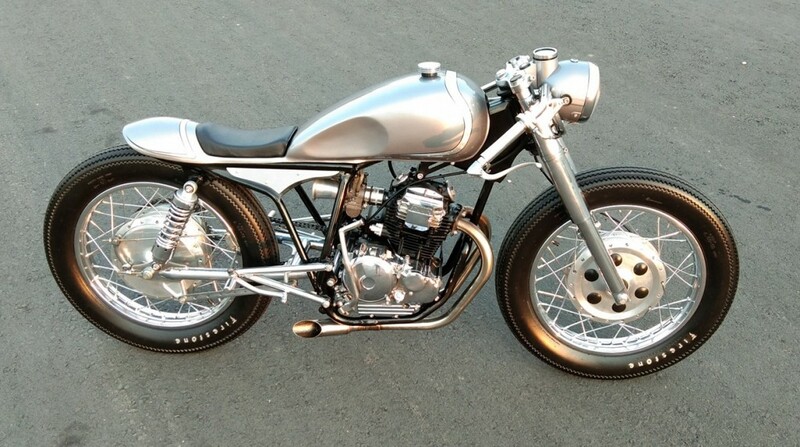 This 2005 Yamaha SX225 cafe racer was built for a past customer, Rony, who wanted a simple, elegant cafe racer with slim, streamlined looks and a minimal visible wiring and cables. 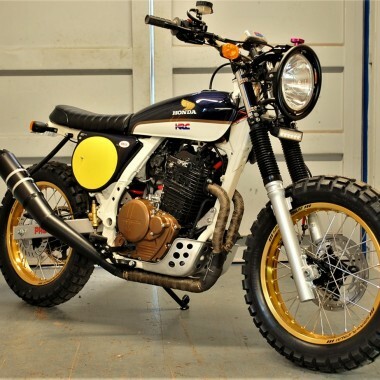 The shop made extensive modifications to the frame and swingarm, and even managed to modified the head for a two-port exhaust output instead of the original single port. 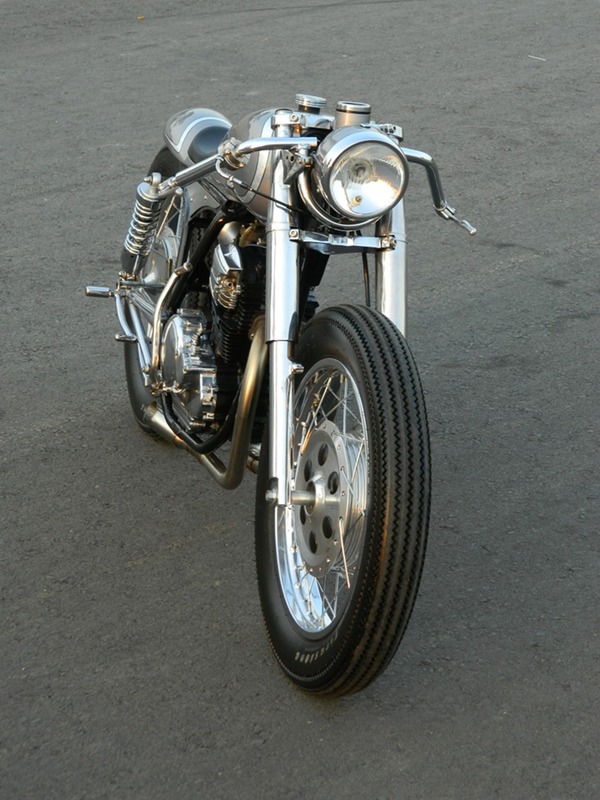 In the end, they named the bike “WAGE,” which Anes calls “a golden boy at our workshop,” having won award after award at custom bike shows. Below, we get the full story on the build. First, my name is Yohanes Marse, but my friends called me Anes. My workshop began operated since 2014 as custom culture workshop. I saw the custom culture scene in Indonesia was spreading and it has grown so well. 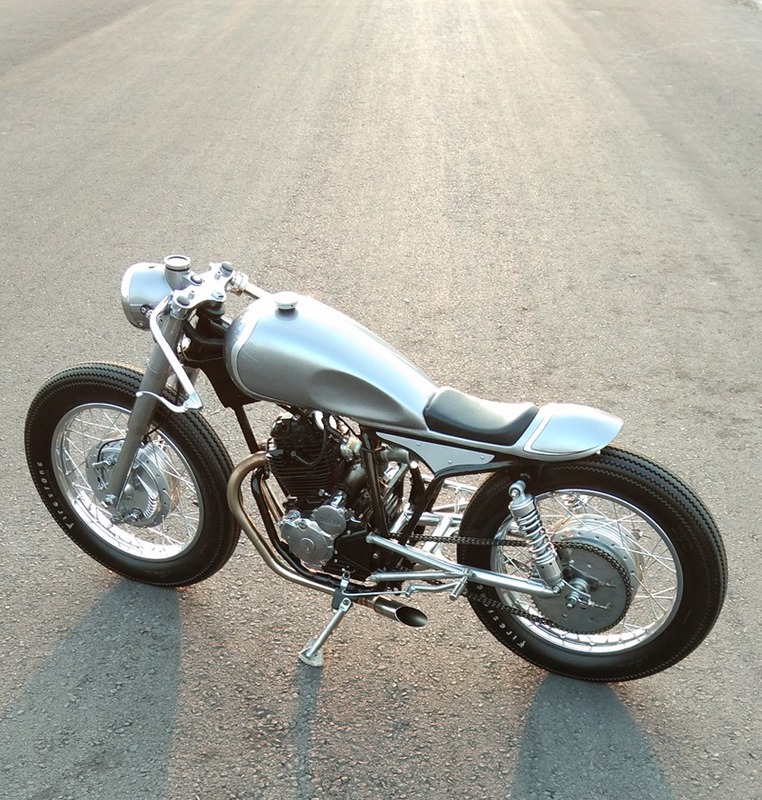 Many talented local craftsmen have influenced me to build motorcycles as an art of the soul. I had two partners and some additional partners who always help me with my works, a good team. The donor bike was a 2005 Yamaha SX225, or also called the Yamaha Scorpio 225 in Indonesia. This is a customer project. 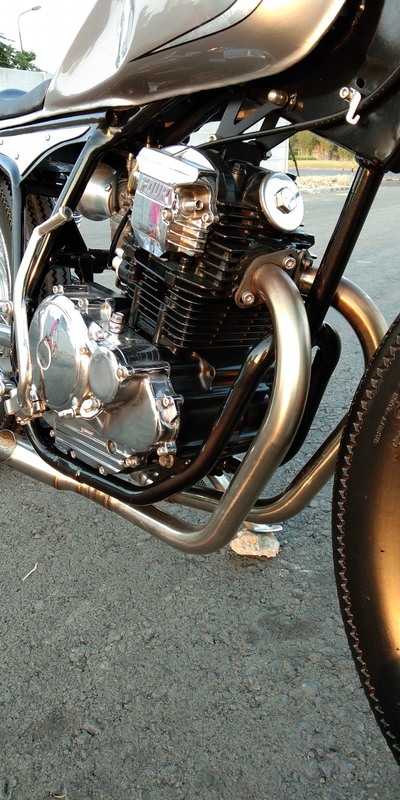 A loyal customer named Rony, whose CB400 we customised at our workshop before. 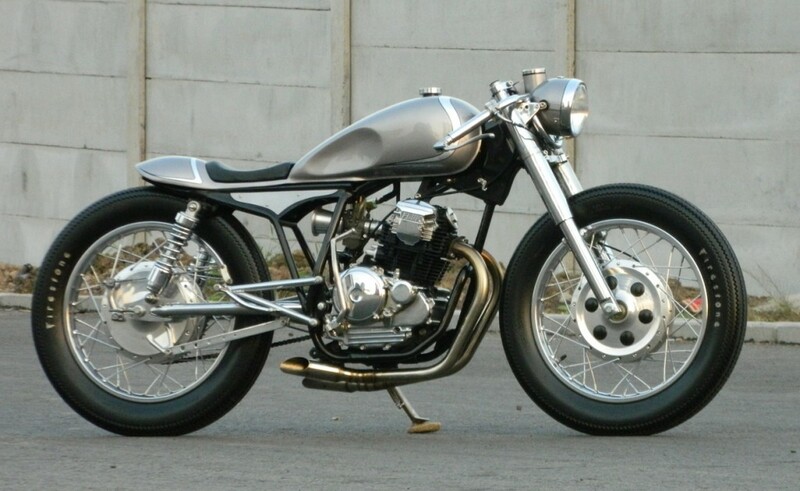 Cafe racer never dies. This man always had great taste. So all we could do was determine how to make a simple, elegant cafe racer. Slim-looks and light. Many inspiration aspects were put onto this bike. It’s just half of the main frame that’s still hanging. Then we made a new half main frame to the subframe from seamless pipe. And then the unibody was set. 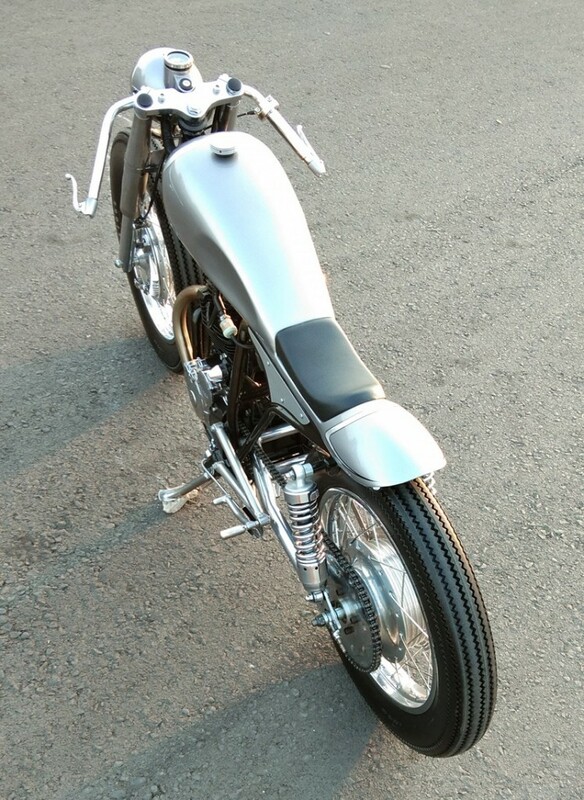 Slim gas tank with simple seat and tail. 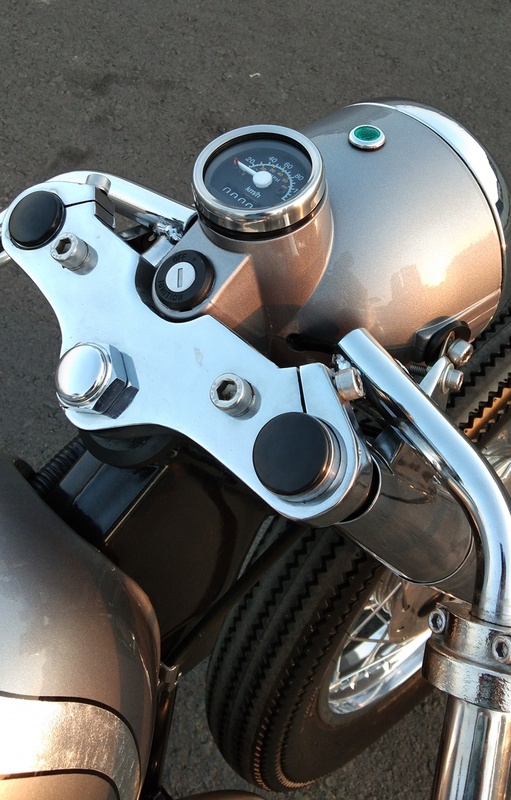 The engine head was customised to be a two port output for exhaust (SX225 has a single port). Combined with a free flow stainless steel exhaust system. The cables and wiring must be ‘invisible-like’. So we put the brake and clutch cable inside the steering bar. The drum brake was made with 27cm diameter. WAGE is his name. He was such a golden boy at our workshop especially. 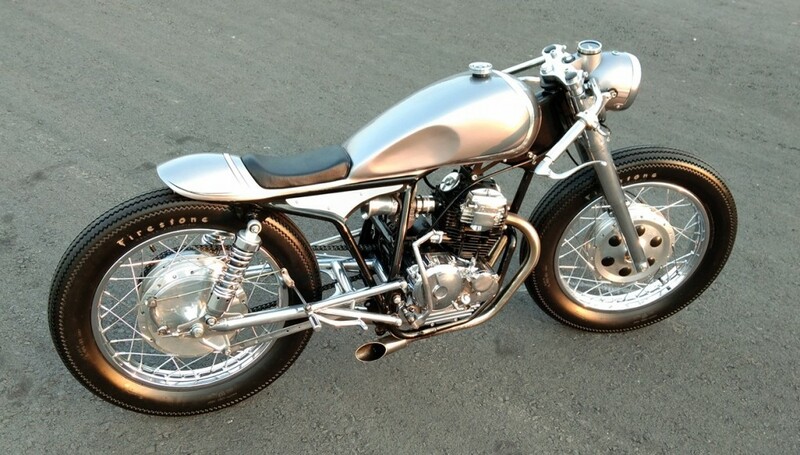 How to create a great cafe racer from a small donor bike was our challenge. But proudly WAGE has won trophies at many custom bike events. 1st cafe racer, the best cafe racer. He never failed us. Thanks to everyone who appreciates our piece of art. We are so happy when people appreciate our work. 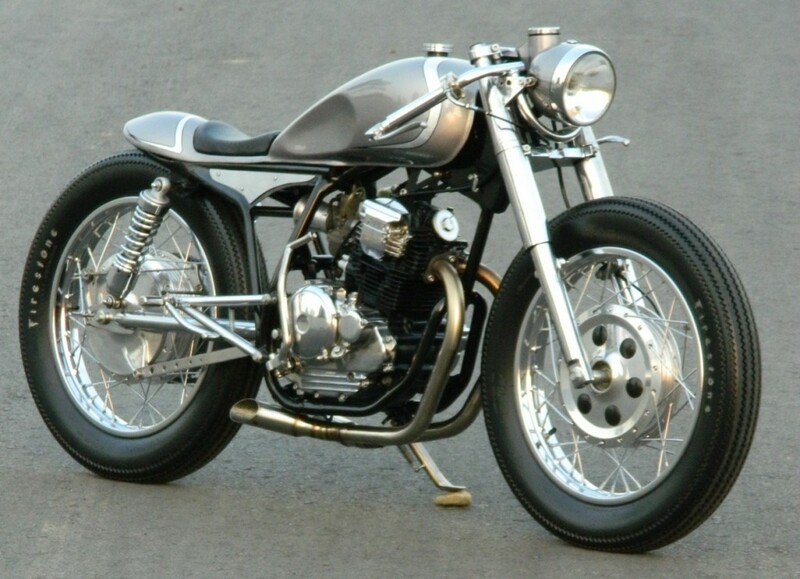 I’d lost interest in the cafe racer genre, until this one, nice! Hey der hau mutsch costs a bice leice dis in € sorry for mei terible inglisch reiding ?